Put the flags out, dear reader, for I have this evening started and finished my first granny square! I can’t believe it’s taken me until now to crochet one. I followed Lucy’s Summer Garden Granny Square pattern from her fabulous Attic24 crochet-tastic blog. I think the squares may become a cushion cover (I have many tired old cushions that could do with a new lease of life), but we’ll have to see. 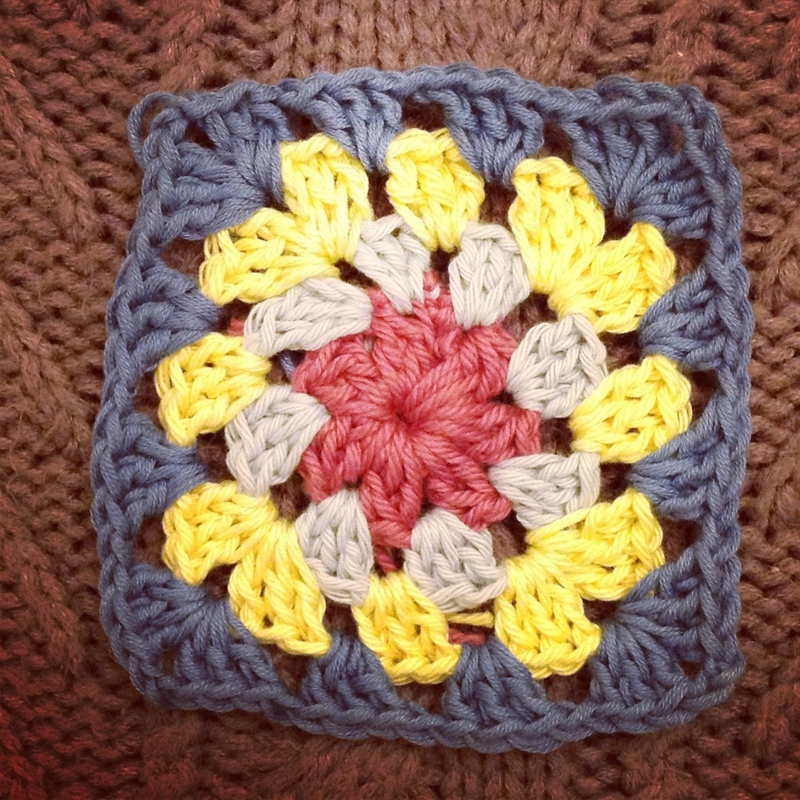 Anyone else channelling a granny square vibe at the mo? Previous A month of A-Z, from A to Z! Lush-resisting the temptation to join you- too much else to finish off before I can play! Looks great, I’ve always wanted to give it ago.